We are pleased to announce that Marian Gaultney (Managing Director of mmg Consulting) having extensive experience in cross-border partnerships in the finance and technology sectors recently joined the S-Partners Advisory Board. S-Partners and China Integrated ( Shanghai, PRC) jointly agreed on a cooperation that will extend the current services offered to companies and individuals doing business between Switzerland and China. What better way to start the year of the rooster than moving in a new office? See the link for the full address and Google map. S-Partners client profile has just been published in the latest edition of HK Invest Foreign Direct Investment (March 2016) the bimonthly newsletter from InvestHK. Click on the following Link to see the profile (page 5). We are delighted to announce the creation of S-Partners Sarl (Suisse) which we believe is another step to link Switzerland, Hong-Kong and Asia. Our new office is located in Ecublens, which is minutes away from EPFL Innovation Park and therefore allow us to be close to one of Switzerland most innovative centre. 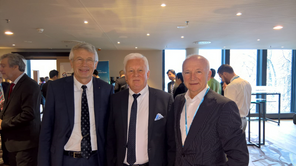 Mr. Walter Steinlin (President of CTI, the Swiss Innovation Promotion Agency) joins S-Partners as a member of the Advisory Board. 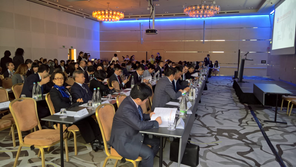 S-Partners recently acted as a partner of the Swiss-Sino Innovation & Entrepreneurship Cooperation Forum that took place in Zurich, Switzerland on Dec 9th 2017. 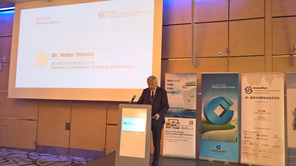 On top of that Mr. Walter Steinlin, President of the Commission for Technology and Innovation (CTI) and S-Partners Advisory Board member contributed to the welcome address and several Swiss startups had the opportunity to showcase their innovative technologies throughout the day. Seedstars World is back in Hong Kong for another round of local startup competition on August 31st from 6PM onwards at SME Centre HKTDC. The 8 best startups from Hong Kong will be invited to pitch in front of an investment panel and compete to win a free trip to both the Seedstars Asia Regional Summit and the Seedstars Global Summit taking place on April 2018 in Switzerland. The Consulate General of Switzerland in Hong Kong just published pictures of the “Swiss Innovation Night” that took place on November 2nd, 2016 at Mettä. Click here to see the gallery. SeedStars World is back in Hong Kong on July 15th!!! 8 of the most promising local seed-stage startups will pitch in front of an investment panel (including our CEO Laurent Stieger). The event will be held at Metta in California Tower starting at 6:30PM. RISEHK Conference: We will be present at Hong Kong Convention Centre on May 31st - june 2nd 2016 for the riseHK event. Do not hesitate to contact us in advance to schedule a meeting. We will attend the StartmeupHK Festival 2016 that will take place from January 23-30, 2016. Do not hesitate to contact us in advance to schedule a meeting. LAUNCH Consumer IoT Summit 2016: We will be present at Hong Kong No.35 Aberdeen Street, Central on January 27th and 28th 2016 for the LAUNCH Consumer IoT Summit 2016 event. Do not hesitate to contact us in advance to schedule a meeting. We will attend the HK Tech & Startups 3rd Job Fair organized by WHub on December 5th 2015. Do not hesitate to contact us in advance to schedule a meeting. Venture Leaders China: We will be participating in the Shanghai based program on September 25th to 26th 2015. Do not hesitate to contact us in advance to schedule a meeting. RISEHK Conference: We will be present at Hong Kong Convention Centre on July 31st - August 1st 2015 for the riseHK event. Do not hesitate to contact us in advance to schedule a meeting. APAC Innovation Summit 2015: We are excited to attend the AIS Robotics on June 24th- 25th 2015 at the Hong Kong Science and Technology Park Grand Hall.